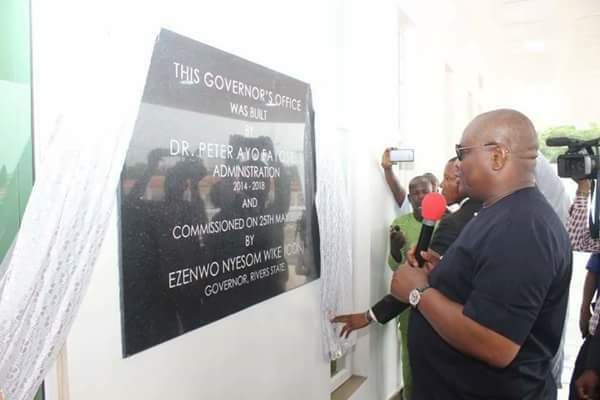 Commissioning the newly constructed Governor's Office in Ado-Ekiti, Ekiti State on Friday in the presence of former President Goodluck Jonathan, Ekiti State Governor, Ayodele Fayose, Abia State Governor, Dr Okezie Ikpeazu, Gombe State Governor, Dr Ibrahim Dankwambo, Akwa Ibom State Governor, Udom Emmanuel and PDP National Chairman, Prince Uche Secondus, the Rivers State Governor said that Nigerians should use their permanent permanent voters cards to vote out the failed APC Federal Government. He said: "Nigeria is sliding into anarchy. Nigerians were deceived by the change lies. Nigerians should show that they are tired of this fruitless change "
The governor reiterated that the intelligence on the plot to assassinate him is genuine and valid. He said that the APC Federal Government has been involved in past plots to kill him. 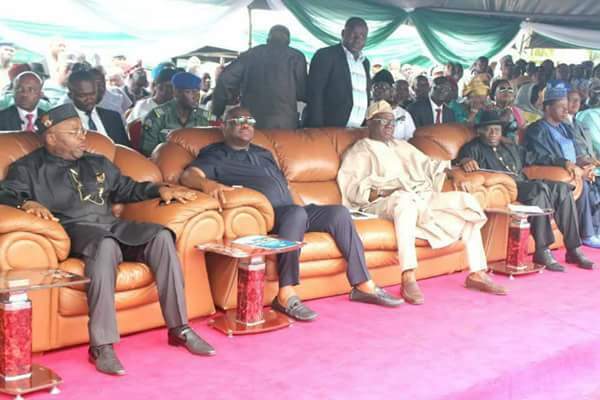 Governor Wike charged the people of Ekiti to be vigilant ahead of the governorship election, saying that they will be intimidated by the security agencies. 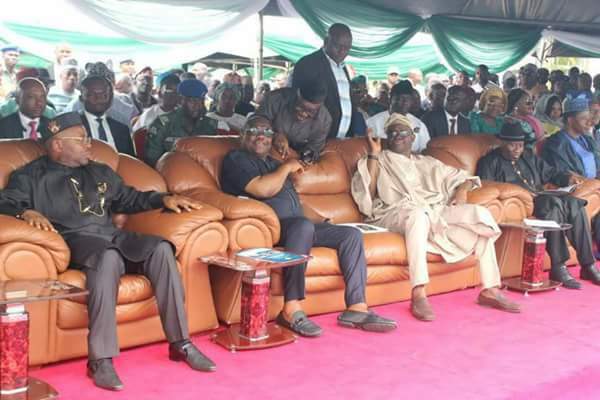 He urged the APC Federal Government to emulate former President Goodluck Jonathan who showed that the unity of the country is paramount by conducting credible polls. 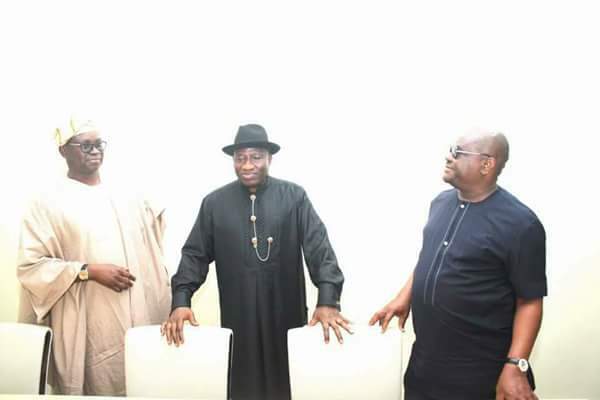 "Jonathan knows what democracy is all about. He never used his power to imprison the opposition. He never allowed anyone to shed blood for political gains. 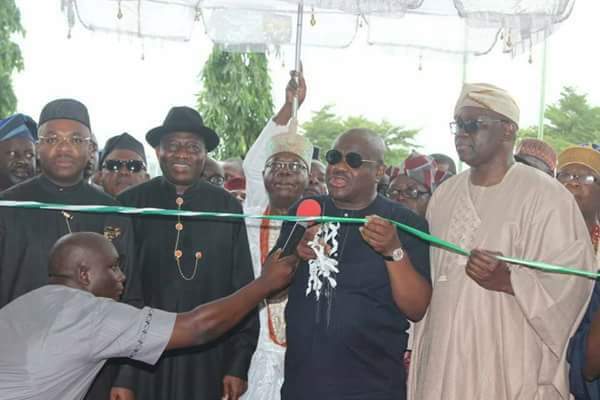 That is not the case today", Governor Wike said. He wondered why the Ekiti State APC Governorship Candidate would be campaigning on the strength of a failed APC Federal Government, instead of his first term achievements. The governor commended the Ekiti State Governor for his judicious management of meagre resources to deliver key projects. He said the outgoing Ekiti State Governor has performed creditably because he believes in massive development in line with the PDP manifesto. 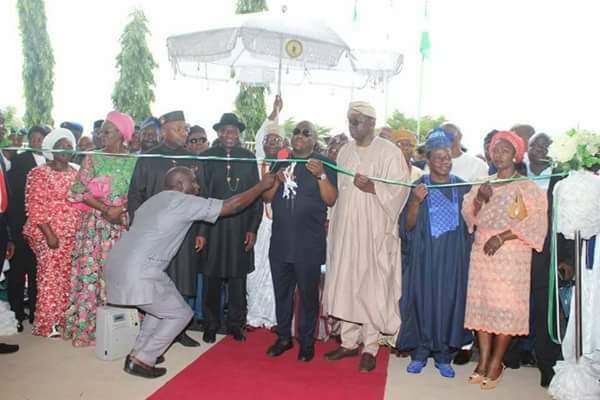 "We are happy to be part of PDP states commissioning key projects unlike the APC States where wheel barrows, hired tractors and bags of mangoes are commissioned ", he said. 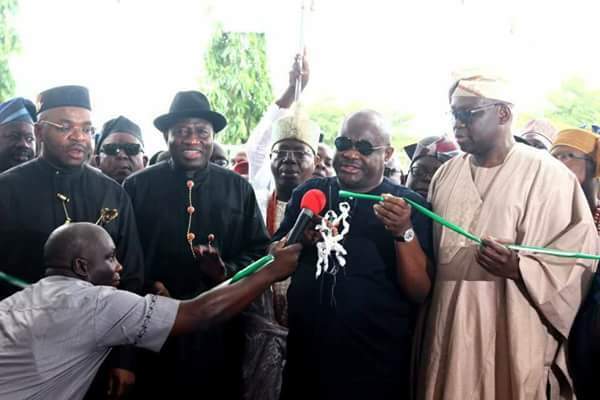 He said Fayose will continue to be useful to the PDP even after he completes his tenure of office. 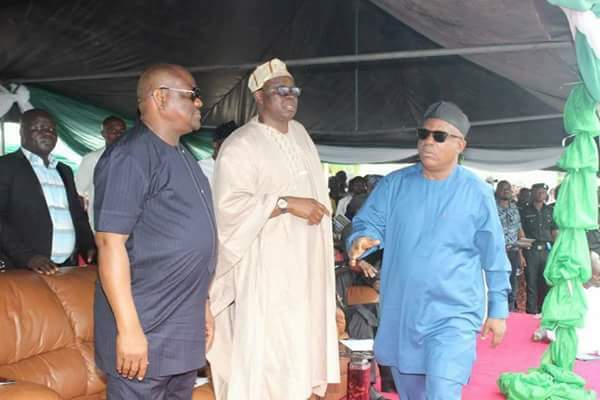 In his remarks, Ekiti State Governor, Ayodele Fayose said that the PDP Governorship Candidate, Professor Eleka has a divine mandate to take over. 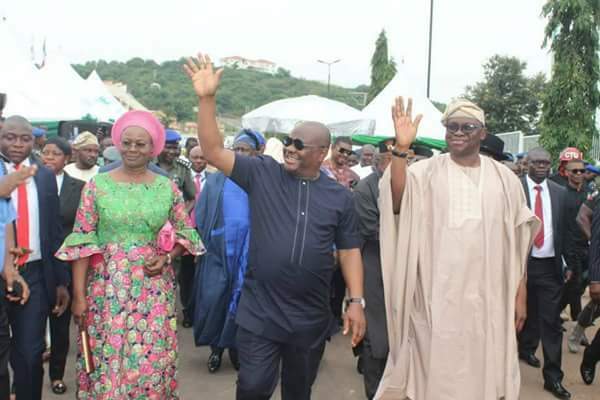 Fayose said that over the eight years that he spent in the office, he was central to the development of the infrastructure base of Ekiti State. National Chairman of PDP, Prince Uche Secondus warned the APC Federal Government against attempting to rig the Ekiti State Governorship Election . 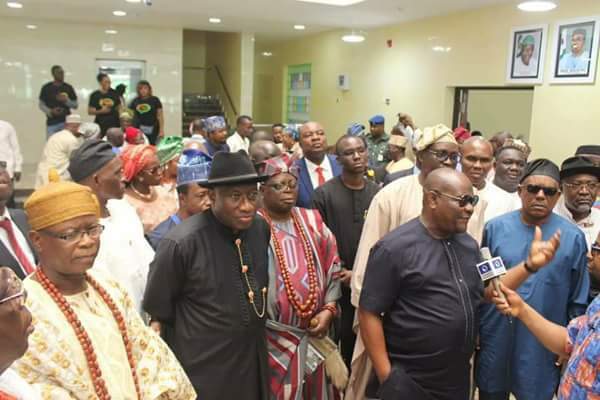 He stated that across the country, PDP State Governors are elivering key projects to improve the lives of the people.